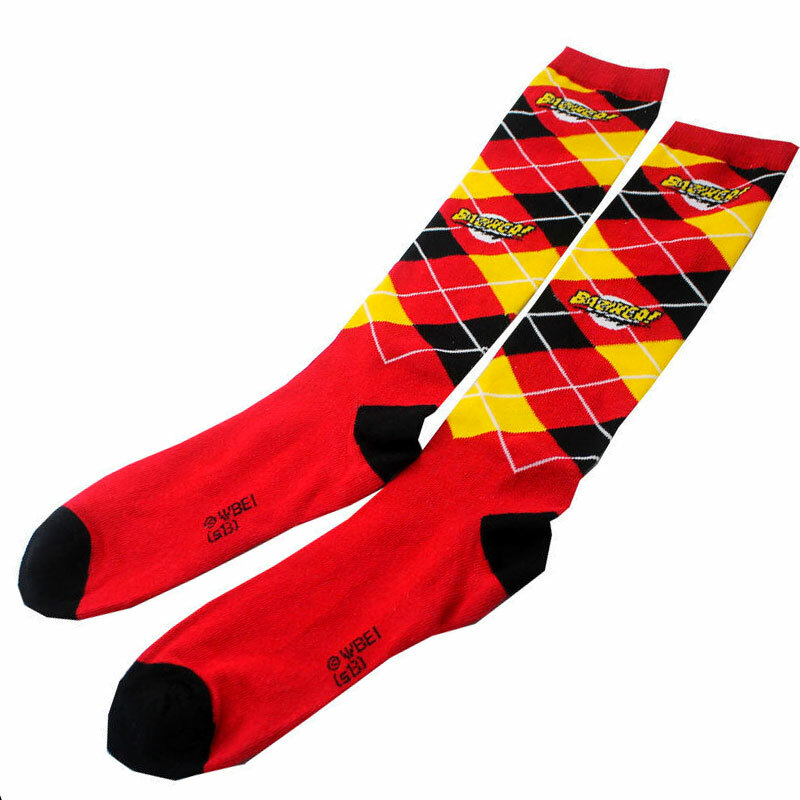 These super cool Big Bang Theory socks feature red, black, and yellow argyle pattern with "BAZINGA!' logo all in all the right spots. They're super high and you'll love them more than the traditional Argyle Socks you wear to work everyday. Feature: - 65% acrylic, 20% nylon, 15% spandex. One size fits most.